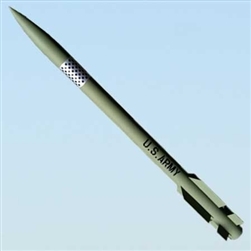 Here is a tidy scale model of the highly sophisticated 3rd Generation Patriot Missile. Priced at only $119 and flying on 29mm motors this kit is a great entry point into advanced model rocketry. Kit includes 600mm nylon chute.